This course has been postponed until fall 2017. Please contact the Zehr Institute program director at patience.kamau@emu.edu for more information. The Zehr Institute for Restorative Justice announces a special webinar about police and community justice partnerships on Wednesday, April 26, from 4:30-6 p.m. Officer Vanessa Westley, a 25-year veteran with the Chicago Police Department, will be the guest with host and Zehr Institute co-director Carl Stauffer. One goal of the webinar, which is open to all, is to whet the interest of police and restorative justice practitioners working with police in an upcoming online course. To register for the webinar, click here. To learn more about the course, click here. The course, which will be co-hosted by Westley and Lieutenant Kurt Boshart, of the Harrisonburg (Va.) Police Department, will be an introduction into restorative justice with an emphasis on its applications in law enforcement. Participants will explore innovative ways to incorporate restorative justice within an agency and in collaboration with their communities. Through presentations and interactive discussions, examples of implementation, including case studies in many police agencies throughout the United States, will be showcased. Westley is currently program manager for the “Bridging the Divide,” a joint program of the Chicago PD and the Metro YMCA. Westley is also special projects coordinator for the Chicago Alternative Policing Strategy Revitalization effort launched in 2013. Through DePaul University’s Center for Urban Education, she leads the community engagement training program. 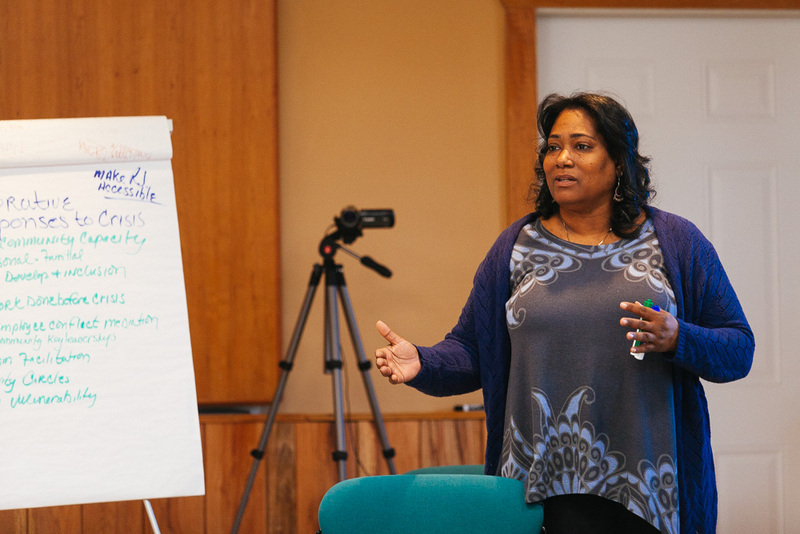 Vanessa is a restorative justice and “Art of Hosting” practitioner and trainer. 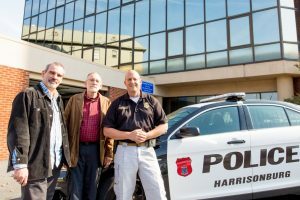 Boshart is a 28-year veteran officer who leads Harrisonburg Police Department’s restorative justice program. April 19, “Listening to a movement,” with Zehr Institute co-directors Howard Zehr and Carl Stauffer.